As others got up when the National Anthem played, he straightened up as a mark of respect. However, towards the end, he heard a few men at the back say, "Saamne ek Pakistani baitha hai (A Pakistani is sitting in front)"
Arman Ali, who helps run an NGO, had taken his nephew and nieces for a matinee show last week. Guwahati: A wheelchair-bound activist has said he was called a "Pakistani" at a cinema hall in Guwahati for failing to stand up during the National Anthem. He has cerebral palsy and he uses the wheelchair for mobility. In a Facebook post, Arman Ali called the experience humiliating, and likened the practice of casting slurs for such a reason to "pseudo nationalism". Mr Ali, who helps run a non-profit, had taken his nephew and nieces for a matinee show of "Lucknow Central" last week. As others got up during the National Anthem, he straightened up as a mark of respect. Towards the end, he heard a few men at the back say, "Saamne ek Pakistani baitha hai (A Pakistani is sitting in front)". "How could they call me a Pakistani? I didn't get into an argument as I had children with me. I wonder how many people would have supported me had I raised the issue. I am quite aware of the dangers of mob mentality," the executive director of Shishu Sarothi told NDTV. 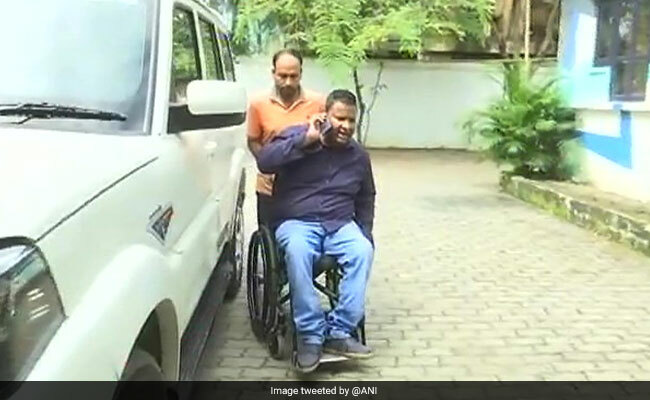 In October last year, paralysis survivor, author, poet and disability activist Salil Chaturvedi was assaulted at a cinema hall in Goa for not standing up during national anthem. Mr Chaturvedi had also severely questioned the practice, saying, "My brother is a gallantry award winner, my dad was in the Air Force, we know what patriotism is". A month later, the Supreme Court made it mandatory for cinema halls to play the national anthem before every screening and for everyone in the audience to stand up to show respect. Following the order, several incidents of assault and arrest were reported from Tamil Nadu and Kerala. The top court later exempted persons with disabilities from standing up. Mr Ali didn't take up the issue with the management of the multiplex, nor does he plan to file a complaint. Instead, he wants to initiate a dialogue. "I am planning to write to the Chief Justice of India," he said. Recalling a similar experience last year when he had gone to watch Aamir Khan-starrer "Dangal", he said he stayed out of the hall and didn't enter till the film started. "When the National Anthem played, as part the film, everybody got up. I felt uncomfortable when people looked at me," he said. The practice of playing National Anthem inside a cinema hall doesn't make one patriotic, he said. "But such comments make others feel vulnerable. According to me, this practice needs to be done away with," he said.